It should really stop surprising me that homemade just tastes better. Here's another basic recipe you can spice the way you like. Homemade yogurt has all the great probiotics you are looking for and none of the added sugar or preservatives. Whether you are looking for a homemade delight you already enjoy or want to try something new: this recipe is for you! I have the small round standard-sized crockpot (shown here), which fits 1/2 gallon of milk. It doesn't fit much more. Pour only the milk into the crockpot and set it to HIGH in order to heat the milk to 180 degrees. This may take as long as 2 hours. While you could go much faster on the stove top, you are also pre-heating your crockpot so the ceramic insert is also at the same temperature. The Daring Gourmet has experimented with omitting this step, however this heating to 180 degrees helps the yogurt to thicken properly. Skipping this step results in runny yogurt. This is not hot enough to pasteurize it, if you have raw milk, so the active enzymes will still be working. 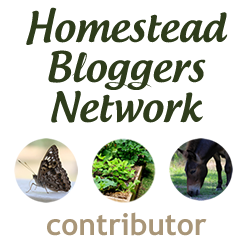 You don't need raw milk to make yogurt, regular store-bough pasteurized milk will work. Raw milk may make the yogurt a little clumpier than pasteurized milk. I prefer raw milk, so I use raw milk. Once the milk as reached 180 degrees, turn the crockpot off and open the lid. Allow the milk to cool to 110 degrees, which may take close to 2 hours depending on your kitchen temperature. This is the optimal temperature for growing the yogurt cultures. Remove approximately 1 cup of the hot milk and mix your starter culture into it. You can either use store-bought starter culture (like this), store-bought already made yogurt, or homemade yogurt you have lying around. In which ever method you add the cultures, you want the right yogurt cultures to be growing in the milk, and not whatever is already in there. Once your cup of milk and culture is mixed, pour it back into your crockpot. You will want to keep your milk/yogurt at approximately 110 degrees. Unplug your crockpot (for safety), and wrap it in a towel or blanket. This keeps it insulated, especially over the glass lid. If you have some fancy yogurt maker, it would keep it at 110 degrees for you. 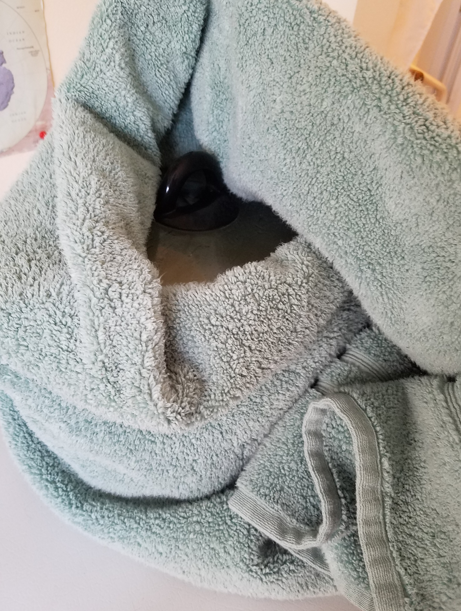 This crockpot towel method works great for me, and doesn't require another kitchen appliances. Wait 10-12 hours for the yogurt culture to convert the sugars and separate the curds and whey. 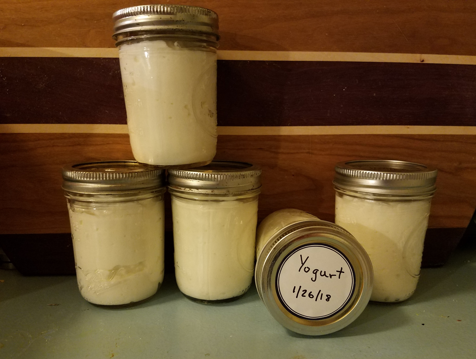 If you are on the GAPS diet and looking for the fermented yogurt with less lactose remaining, let the yogurt set for 24 hours. After sitting for 24 hours in the towel, the temperature of the surface of the yogurt was 94 degrees, so the insulation worked well. After your waiting period, you should see yellowish whey floating on top and yogurt looking clumps. Line your colander with a cheese cloth, set over a large pot, and strain the yogurt. How long you strain the yogurt for will determine it's final consistency. 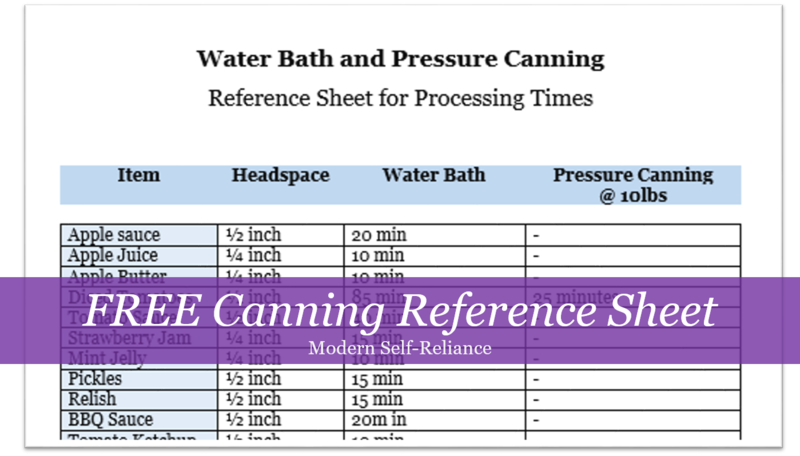 Strain for somewhere between 2-4 hours, which can be in the fridge if you have space or on the counter otherwise. I like slightly thicker yogurt and look to strain for 3- 3.5 hours. If I forget about it and strain it for more than 4 hours it becomes more like the thickness of cream cheese. The Moon or Yogurt Separating from Whey? Save the whey! This whey is sweet whey as compared with the acidic whey rendered from using citric acid to separate the curds as done with Homemade Mozzarella. Sweet whey can be used as a substitute for water, milk or buttermilk in cooking. Whey is packed with protein, which is why you often see Whey Protein Powder (my favorite brand, but apparently chocolate is not sold on Amazon?) sold for athletes. Your sweet whey can also add richness to broths and add protein to smoothies. Some people drink chilled whey, but I prefer not to drink it straight. Enjoy your yogurt! Remove the yogurt from the cheese cloth and store in the fridge until you are ready to enjoy. I like using half-pint mason jars, which are quick single serving portions for me. This is unflavored yogurt, which will allow you to add your own flavoring as you like. This could be a spoonful of honey (my favorite option), jam, or fruit. Typically I will get 5 half-pint yogurt jars from 1/2 gallon of milk. So approximately 2.5 pints of yogurt from 4 pints of milk. The rest of the volume will be leftover sweet whey for cooking. Be sure to save a dollop of your yogurt so you can use it as a starter for your next batch. This way you won't have to buy new starter and can have fresh homemade yogurt for the rest of your years. In crockpot, heat milk to on HIGH to 180 degrees. Approximately 2 hours. Remove lid and turn off crockpot. Let milk cool to 110 degrees. Approximately 2 hours. 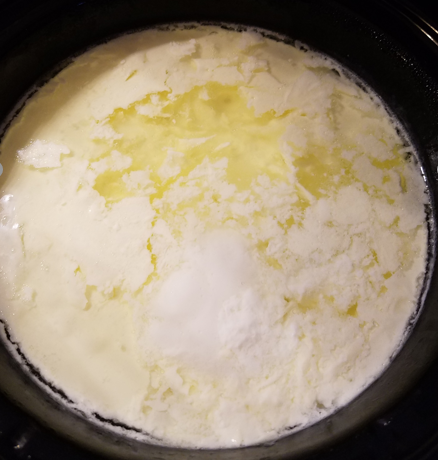 Remove 1 cup of milk, mix in yogurt cultures, return to crockpot. Insulate the crockpot with a towel or blanket. Wait 10-24 hours to form yogurt. 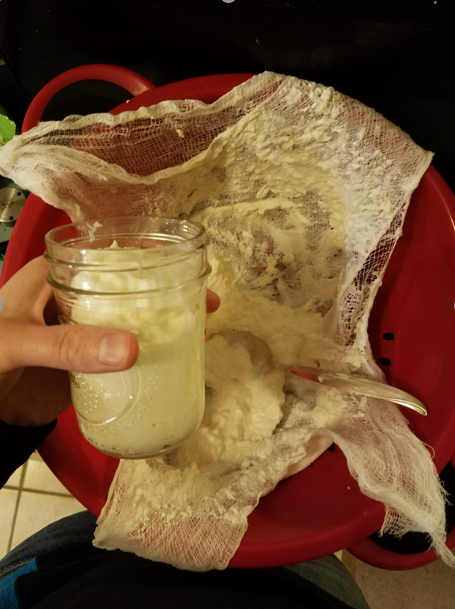 Strain the yogurt with a cheesecloth and strainer for 2-4 hours in the fridge or on the counter. Enjoy homemade yogurt with honey or fruit. Refrigerate the remaining yogurt. Reminder: Don't eat all your yogurt. Remember to save a small dollop as a culture for your next batch! How do you enjoy your yogurt? Let us know your favorite style in the comments below. Ready for more home cooking?